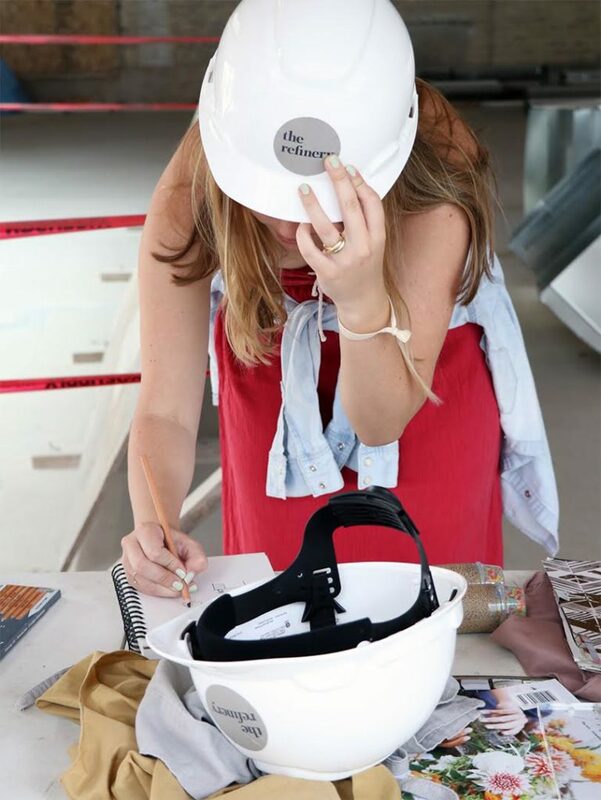 It takes a lot of tenacity and positivity to pursue your dreams, and those are two things that Hayley Swindell, founder of The Refinery, definitely isn’t lacking. After graduating college and working in advertising sales and the non-profit space, Hayley started her own side gig, The Hip Humanitarian. She soon realized she didn’t have the resources she needed to keep the business going and found herself back in the corporate world, with entrepreneurship still on her mind. 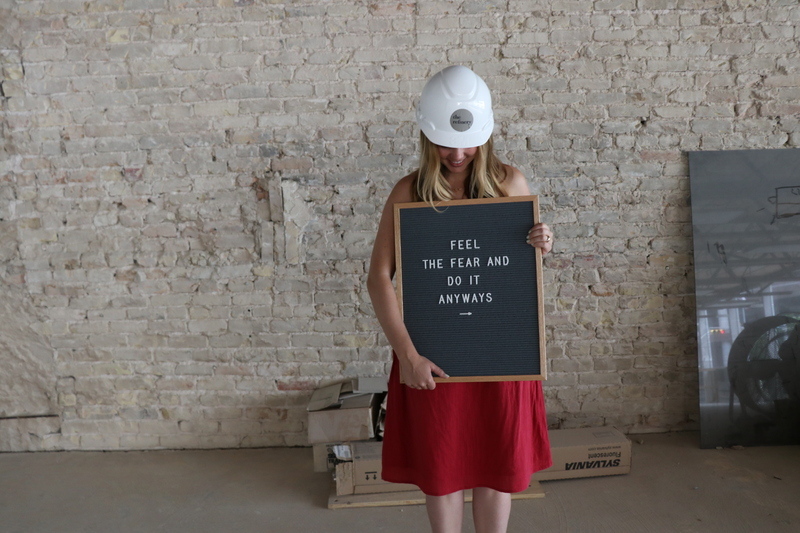 Fast forward a couple years, and now Hayley is working on her next big move — building The Refinery, a coworking and event space for creative entrepreneurs in downtown Austin. What were your previous jobs leading up to The Refinery? 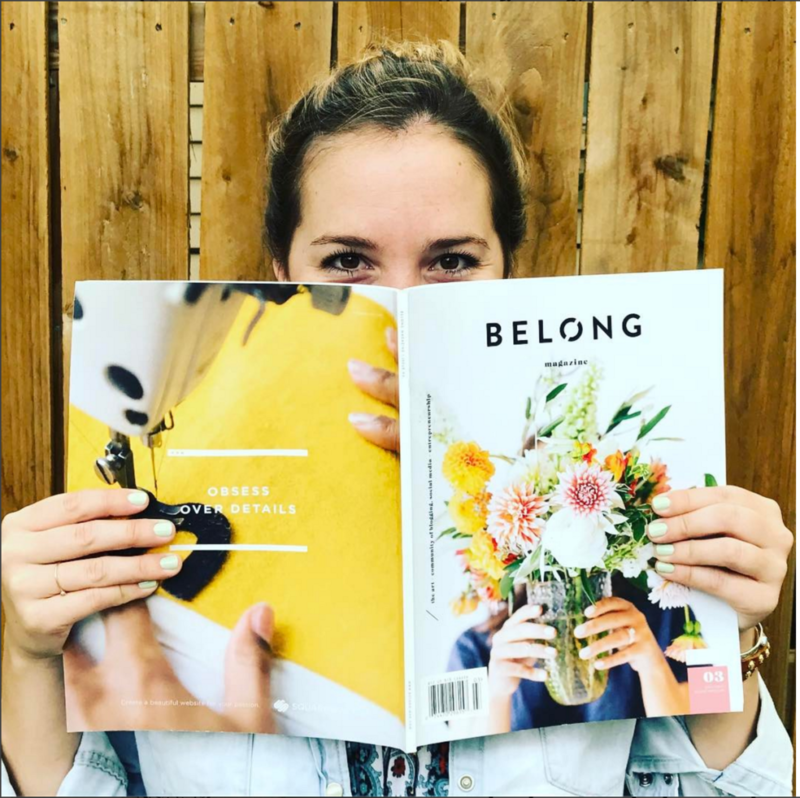 After graduating from the University of Texas, I worked as an account executive at Austin Monthly Magazine, which I would say is really where I initially fell in love with the idea of entrepreneurship. I would have conversations every day with business owners and every conversation I had left me with this burning desire to start something of my own. After Austin Monthly, I became the Director of Development at Marbridge Foundation, a community in South Austin for adults with a wide range of cognitive and physical challenges. My younger brother has Autism so the mission was, and still is, very dear to my heart. While I was at Marbridge I began working on The Hip Humanitarian, an online store and subscription box concept that sold organic, ethical, sustainable and high end lifestyle products. I soon made Hip my full time gig but after trying hard to make it sustainable and ultimately failing, I got a job in corporate philanthropy at BuildASign.com. While I was there the CEO of BuildASign founded another company, Notley Ventures, where I worked up until launching The Refinery! Did you always know that you wanted your own business or did it just happen? I think I always knew. When I was little I could play “store” all day and always had to play the boss lady 🙂 Working in advertising sales at Austin Monthly though is what really got that fire going! What do you like most about the creative community here in Austin? I love how fearless the creative community is in Austin! There is something about this city that just fuels creativity and innovation. People are so accepting of ideas here and what’s even better is that everyone is willing to help one another out and collaborate! What did your experience with Hip Humanitarian teach you about entrepreneurship? It’s okay to ask questions; actually – It’s encouraged to ask questions! Collaboration & partnerships are key! Building your network and putting yourself out there is also key! It’s okay to negotiate and stand up for yourself! What has been the most unexpected part about starting your own business? The most unexpected part is that it is actually happening! Every single morning I am beyond excited to wake up and hit the ground running…I often have to step back and just pinch myself to make sure it’s real! To me success is a combination of happiness, being able to do good for other people and being financially comfortable. What advice do you have for someone who wants to start their own business? Lists are your friend 🙂 Write everything down all the time! Don’t let your age, gender or experience level slow you down. Talk about your business idea with anyone and everyone who will listen! On that same note, ask for advice all the time. Really listen to people when they are taking the time to help you out and always follow up with a creative thank you! Favorite thing to do in Austin after a long week? Right now my work week is 7 days a week so I treat myself here and there when I can throughout 🙂 Lately my favorite reward has been a glass (or a bottle if I’m feeling crazy) of rosé on Friday afternoons! What do you see for The Refinery over the next few years? I see lots of growth and connection! 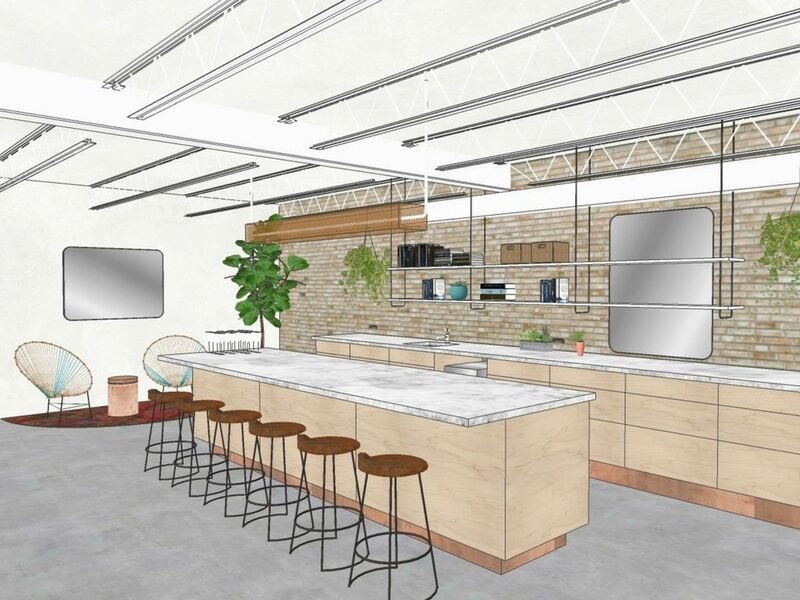 My dream for the space is that the people who are in it will constantly be connecting with new people and their businesses will be able to grow as a result. 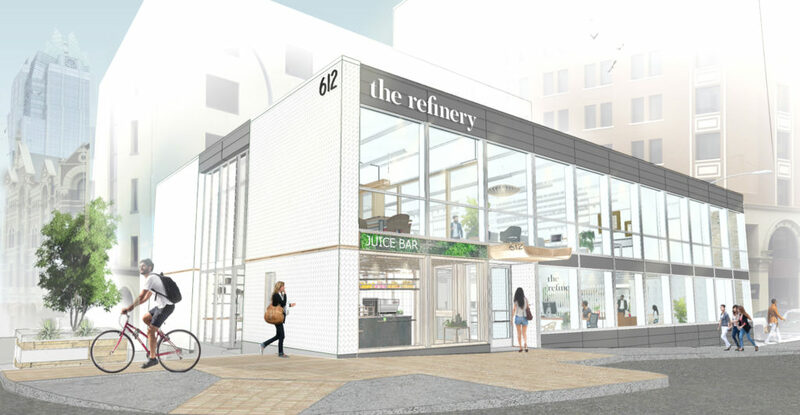 I want The Refinery to be a contact hub of collaboration and joy! Images courtesy of The Refinery.